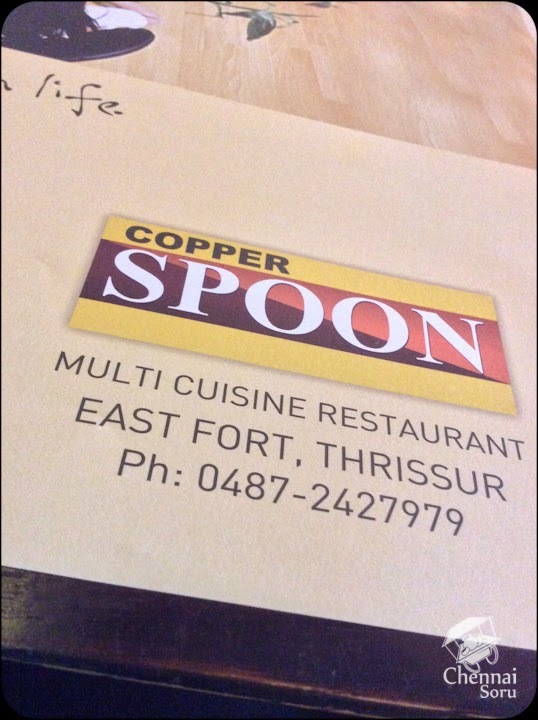 On my really short visit to Thrissur, I got to dine at this lovely restaurant called Copper Spoon. Big thanks to my friend who suggested this place. It is located close to the railways station. I cant really believe I paid only Rs 10 for the auto fare to this place. Yaaay!!! Sorry for the bad picture quality. Snapped them on my ipad. I walked in at around 4pm and sat myself down. The place was 20% full. So I built the courage to ask the bearer if they were open. He was really courteous in his reply - " We are here to serve you". I was filled with joy and I went about placing my order. I ordered a Dragon Fish, Kerala Fish Masala and finally a few Kerala Parotta. Dragon Fish was a regular fare. Very similar to the Chinese one would get, if you ordered the same at sea shells. The Kerala Parotta and Fish were quite simply superb. Made with loads of coconut oil, filled with richness. 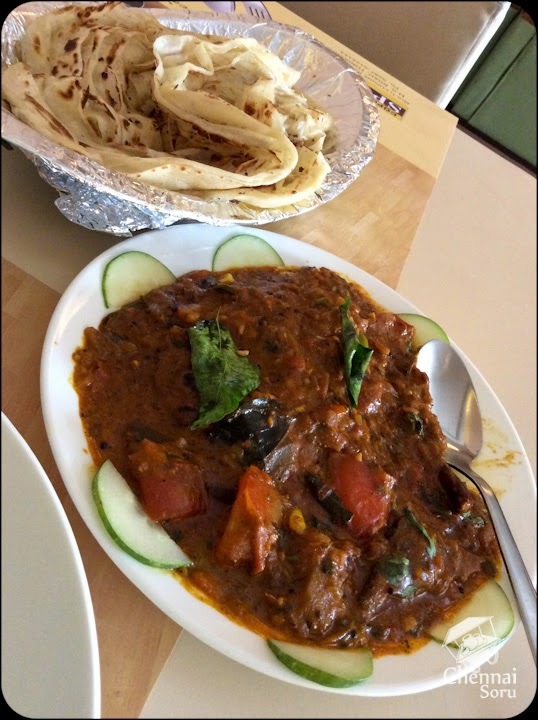 Mix it up with the sooper soft Parotta, and it was pure bliss!! I was totally reminded of Zaitoon and Sea Shells the entire time I was here. Only a little better. 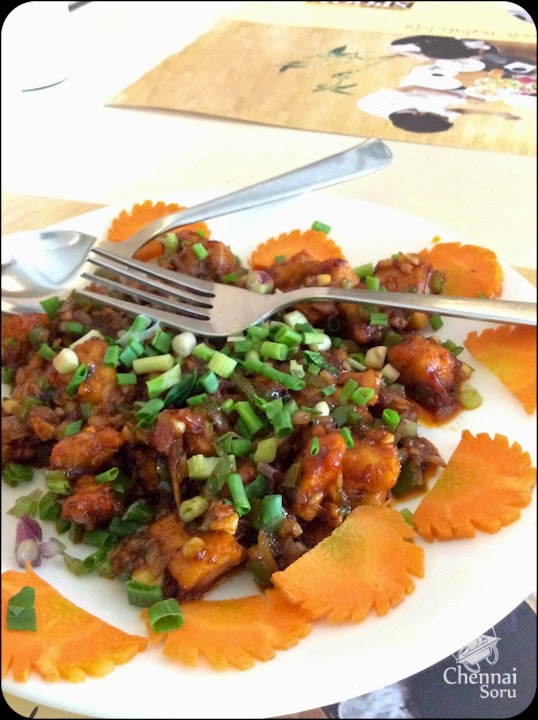 Copper Spoon is located near the west exit of Thrissur railway station. They do have another branch as well. *A review about a place holds good only for 6 months as there can be a change in quality and quantity of the food, the service and the staff, due to reasons best known only to them. So kindly consider these factors while visiting the places.